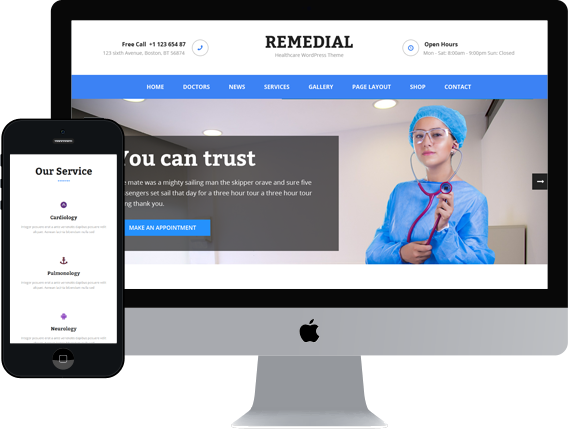 Remedial is responsive, fast loading, beautifully designed and high quality WordPress theme for health care services such as doctors, hospitals, clinics, pediatric and all. Get perfect, modern and professional website with our drag and drop page builder support and no need for coding knowledge. With Remedial making your own website is easier than you think. It is also WooCommerce ready to make selling your services a breeze.